green tea: Clock stuck on 4:20? 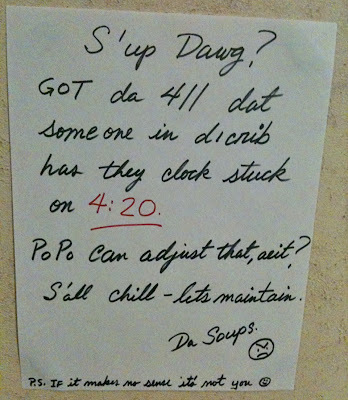 A photo taken by my brother of a note posted by his apartment building's super. My brother estimates the super to be "late 50s, Polish". "S'up Dawg? 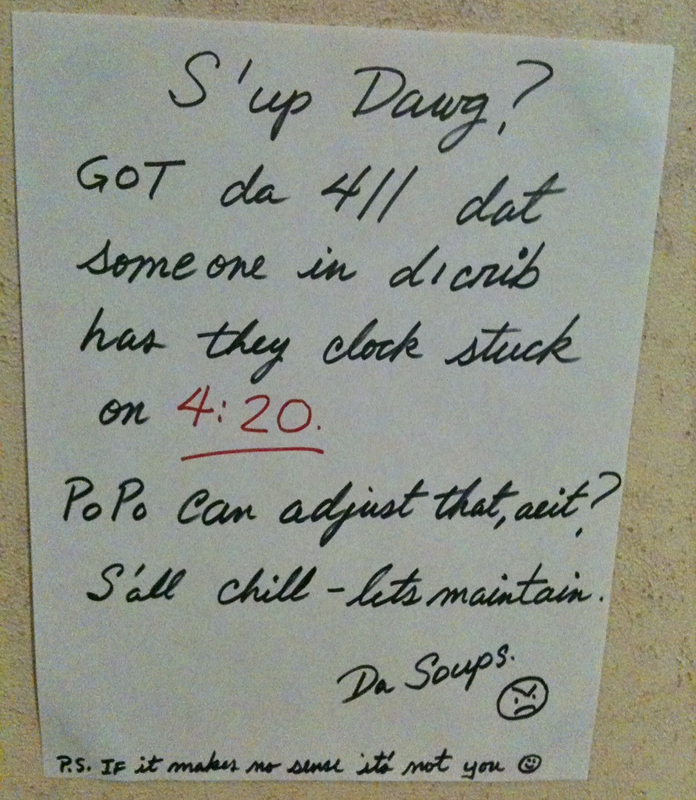 GOT da 411 dat someone in d'crib has they clock stuck on 4:20. PoPo can adjust that, aeit? S'all chill - lets maintain. P.S. If it makes no sense it's not you. ☺"
Mmm, I don't think all herbalists speak like this but A+ for effort, Soups.